After months of researching and planning, we are absolutely ecstatic to launch Greek City Times, bringing you the latest in lifestyle features and news articles, with a sweet Greek twist. Yes, there are lots of newspapers, blogs, Facebook and Instagram pages dedicated to Greek related topics but we believe in our element of difference. We have carefully hand-picked a bunch of passionate and talented contributors based all around the world to help us bring you fresh and inviting content each day. So whether you call Melbourne, Ontario, Stuttgart, Manhattan, Buenos Aires, London, Paris or Bali home, we want to reach out to you and be your source of information and inspiration for anything and everything that is mainly Greek related and happening right now in the world. Currently there are about 11 million Greeks living inside Hellas and about 8 million outside of our motherland, adding up to about 19 million people in total. We want to unite these Hellenes across the globe so that future generations can access the knowledge about their history and heritage, allowing our beautiful traditions and culture to continue to blossom and shine no matter where we reside. We all know that Greece is unfortunately going through a very tough period at the moment. However, we believe by highlighting some of the beautiful and positive things that are continuing to come out of Greece and showcasing influential people with Greek backgrounds, we can provide young people and the rest of the world with a source of inspiration and aspiration. Call me a wishful thinker or a crazy optimist but with all my heart, I do believe that this beautiful country, which I am proud my parents, grandparents and forefathers were born in; will be back better than ever very soon. As you will see we have featured, interviewed and brought to you some of the most successful and talented Greeks from all across the globe. We of course want to keep it real and will also be sharing lots of stories about ordinary and everyday people that may not be so joyous; but we definitely wanted to start off on a positive note in every way possible. 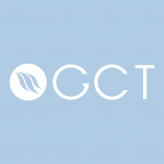 This of course is only the beginning, just a small taste of what is yet to come from GCT- so please keep visiting our site daily, as we will be uploading features, news, videos, events, competitions and much more as every day goes by. And please feel free to drop us an email anytime with your feedback, questions or suggestions, we would love to hear from you.